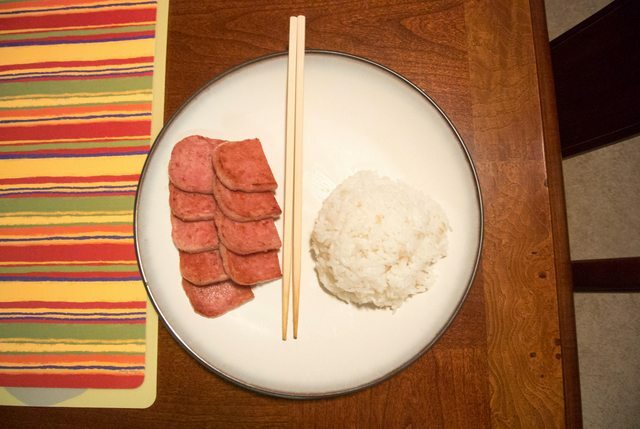 Spam, the food (not the email), has been a staple in my family’s pantry for as long as I can remember. When I was younger, I thought it was like that for everyone’s family. But as I started to find out as I got older, Americans generally disliked spam. From what I gather, it seems like most people associate spam with a lower class of eating; something along the lines of “I’d only eat that if I was poor.” I still meet people today that have never even tasted spam. I’ve since read up on it and discovered that South Korea is the number three consumer of spam in the world, with Guam and Hawaii being the first two. In fact, most of the places where spam is popular coincide with locations of large US military installations. So basically, the army was providing spam to its soldiers and the natives would often get it through the black market or barter. If your country has a large US military presence necessitating large quantities of spam, food is probably a scarce resource so something like spam would be considered extremely valuable. I still keep up the tradition of eating spam, usually just fried up and served with rice. Last time I went to the grocery store to get it, there were numerous varieties. They had pepper, jalapeno, bacon, and some others. I will always just get the original (and maybe the bacon on occasion) but I’m glad they’re trying to innovate in order to appeal to a newer generation of spam eaters. The legend of spam must live on!